For once, the Shatabdi Express ran on time on Monday, but only to run into another controversy. A passenger raised a hue and cry, sought for the menu card, and finally filed a complaint with the Railways authorities, all because the food he was served in the Car Chair had ‘gulab jamun’ instead of the ice-cream that they were supposed to serve. 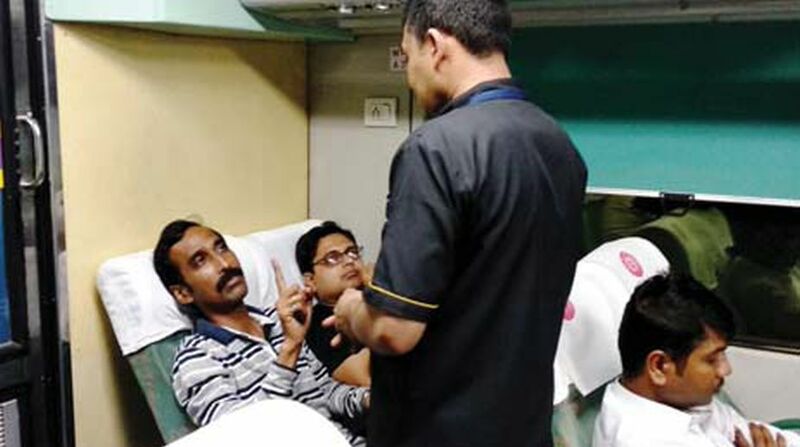 Catering staff in the train- -No12041-had egg on their face and were not able to convince Krishnendu Mukherjee, the passenger, whose only question to the staff was “Why did you replace ice cream with gulab jamun?” The commotion over the issue went on for well over an hour, while the row drew even a senior railway official in Chair Car (CC No 4) as the train left Kishanganj Railway Station and headed for the New Jalpaiguri Railway Station in Siliguri. During the heated argument, Mr Mukherjee, a frequent traveler in the Shatabdi Express, desperately asked the catering staff to show him the menu card for passengers travelling in the chair car. After he went through the menu, he finally decided to register a complaint with the authorities concerned. Mr Mukherjee also asked the caterers to inform the Train Superintendent of the matter so that he can register his complaint officially. Finally, a senior Travelling Ticket Examiner, who was on the train, came to meet Mr Mukherjee, and asked him to lodge his complaint in the register he had as the train approached Rangapani near New Jalpaiguri. “The matter is being handled by the IRCTC. 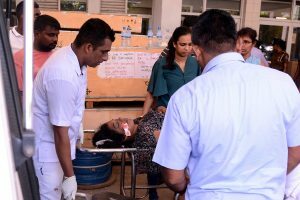 Authorities will take proper steps if the complainant registers his complaint with his PNR number,” a senior Railway official said. Another Railway official added that the catering staff must first show the menu card, from which the passengers can order the food of their choice. However, that did not happen in the CC on Monday. The 12041 Shatabdi Express, a luxury train, which runs between New Jalpaiguri and Howrah six days a week (except Sundays), has recently courted controversy after it started running late almost every day. The train has failed to arrive at the New Jalpaiguri station on time almost every day in the recent past.